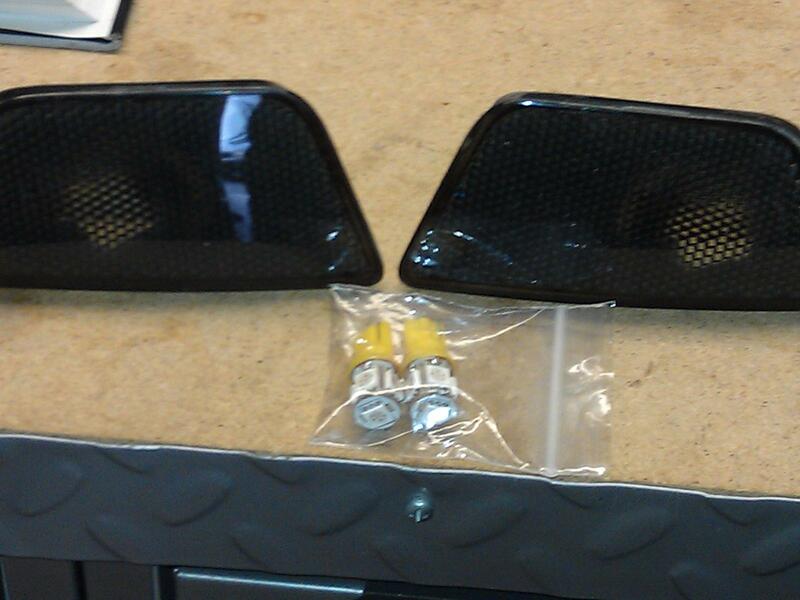 I am putting up for sale my side marker lights which make the Cruze look much sharper then having the yellow lenses. 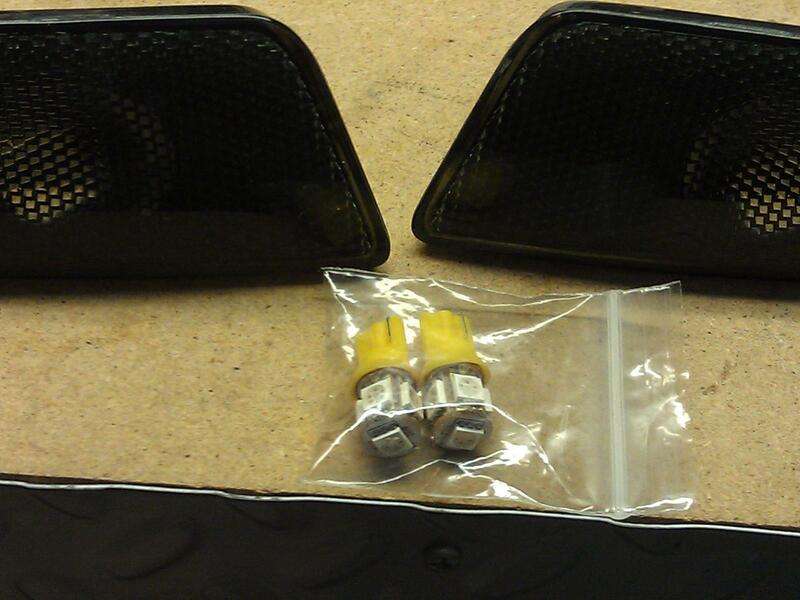 I will throw in 2 yellow led bulbs so you will be all set to go. These will be 45 dollars including shipping. One of the tabs snapped off when a opposum hit my car. I have since used jb weld to reattach the tab and it holds fine. Last edited by cruzeman; 05-27-2012 at 06:54 PM. You still have these? Very interested. Soon: Custom Tablet Magnet Mount, De-Chrome, ? Yes I have them ! Also very interested. So light smoked and what's the background color? So still totally functional? These are sold, I still have the Sri-v badge, fog light covers, door lock pins, the DVD nav system and 3 of the ultra racing bars left. 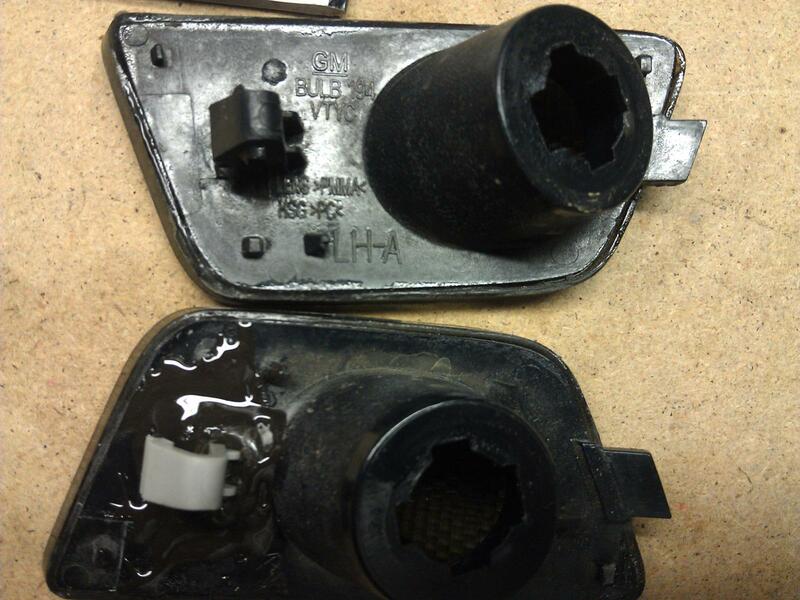 Side turn signal lights - how to get them off?